Depending on the purpose of your travel to Estonia, there are different types of visas that will apply to the occasion. Whether you are planning to go on a visit, study or work and reside in Estonia permanently, you will have to apply for a different Estonian Schengen Visa, accordingly. You can apply for the Estonian Schengen Visa since 2007 when Estonia as an European Union Member State also became a member state of the Schengen Area. Stat: As per 2017, Estonia has issued a total of 136,324 uniform Schengen visas from 138,249 applications received at Estonian consulates and embassies around the world. See the list of countries whose citizens need a visa to enter Estonia by clicking Do I need a visa to visit Estonia? Download the application form, fill it completely and with sincerity. You can also fill the Estonia Schengen Visa application form electronically and then print a hard-copy. Learn how to fill-in the Estonian Visa application form! 2 photos must be attached; the photo should be of passport format – a recent whole-face capture with a light background. Learn more about photo requirements and specifications for an Estonian Visa. A copy of your return-ticket reservation with dates and flight numbers specifying entry and exit from Estonia. It is not recommended to purchase the ticket before obtaining the visa – if not otherwise required. Learn how to book a round trip reservation online! Proof of Accommodation for the whole duration of the intended stay in Estonia. Learn how to get Hotel booking or reservation for Estonian Visa application. Means of subsistence – Proof of sufficient financial means for the period of stay in Estonia. The amount of financial means that every foreigner applying for an Estonian Visa has to demonstrate owning to the Estonian Embassy or Consulate, is 600 EEK or 38.35€ /day for the period of stay in Estonia. Apart from the general documentation required, accompanying should be other additional documents depending on the purpose of your Estonian Visa application. *Note: When applying at the Estonian embassy/consulate in home country, the guardian or parent should accompany their under-age children. 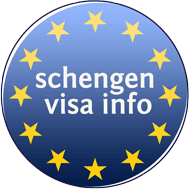 For more information, please read How to Extend a Schengen Visa while being in Estonia. Attention! Please consult the Embassy of Estonia in your country for the updated Estonia Visa requirements!